You're no idiot, of course. You skillfully manage your kids' temper tantrums, diplomatically handle office politics, and even pleasantly deal with your friends' bickering. But when it comes to handling customer service, you feel utterly lost. It's time to make great customer service an indispensable part of your daily operation! 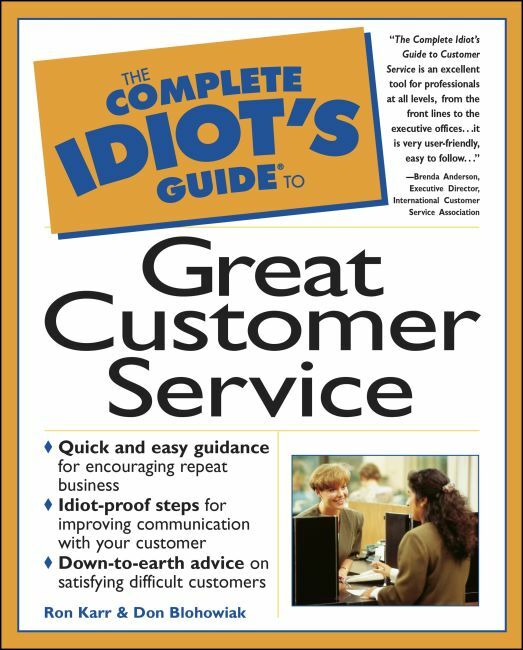 The Complete Idiot's Guide to Great Customer Service teaches you how to create the "Service Difference"--service that genuinely pleases your customers and sets your organization apart from the pack.